Playing the computer is actually fun and somewhat challenging. The lack of manual goalie is made up for with amazing Defensive AI. They really clog the middle and while the deke is still a very good move it is not money or cheesy. 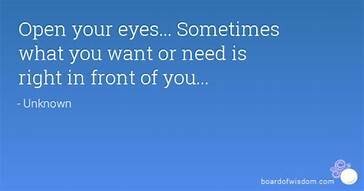 They will often level you or force a bad shot. 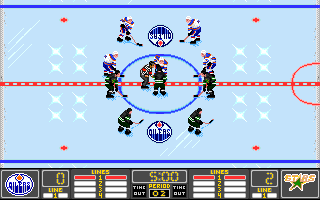 So much more of a Hockey simulation than any other version. Really has all the best parts of 92, 93, 94, and 95! 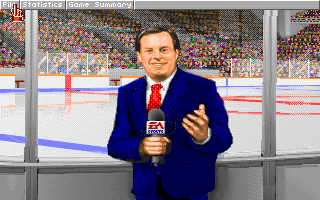 Full Season Mode, Ron Barr including speech, plus an awesome rink announcer, Anthems (no kneeling), USA and Canadian Flags, Back up Goalies Play, Varied and accurate center ice logos, Sound of the boards, goalie pads, sticks, pucks, etc...., better music, more dynamic and accurate crowd, guy blowing a single horn at times, Jumbotron including Fan Meter and other cool stuff, Ref retrieves puck and goes to box and signals penaties, calendar, 4 actual accurate lines, scratches and deeper rosters, 1993 season celebrated, Stars in Minnesota, No Ducks or Panthers, 3 Stars, skate out after being announced EA Sponsor, Shows total goals when a player scores for season or playoff not just that game, more accurate goalie pulls like when down 1 or 2, not just when down 2, visual line changes when players go on and off, dynamic crowd, announcement of 1 minute left in the period, so much more amazing game, an actual Stanley Cup presentation and skate with the Cup, Long Live DosBox! No create player but can edit players using NHL Info. Also, still trying to find out how to call a Timeout. The goalies really are amazing!! The deke is still slightly to easy to beat them with but if not using a Super High Agility/stick guy not so much. And the Defensemen AI is outstanding! So the deke is only somewhat cheesy. 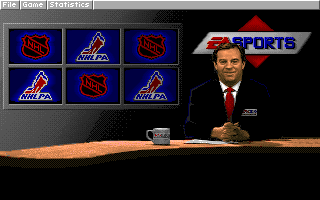 Just wait until you figure out how to create retro leagues on NHL94PC, or figure out how to re-create the jerseys with a better palette of colours and actual logos! The jerseys are already really sweet, but ya some Original 6 era stuff will be coming. 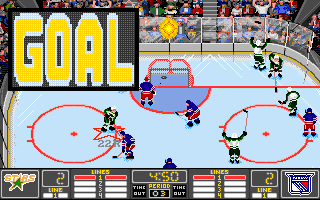 More awesomeness is includes the sound of goalie beating his stick as penalties are expiring! 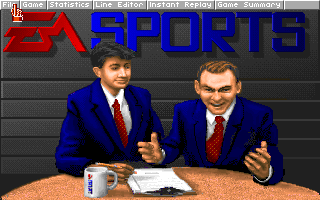 The Sega, SNES, and CD were released by EA and High Score, feel more like Mark Lesser. 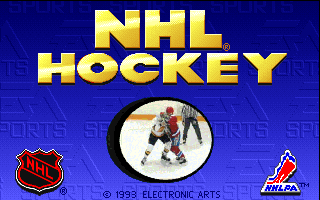 Always love reliving NHL Hockey as when I was growing up it seemed like such a big deal to play a *CD-Rom* version of a game. Knowing that there was a version of a game I already loved with better graphics and more features was a pretty big deal to me. I remember as a kid being so intimidated about running a game in DOS--Mounting the C Drive? I was so used to my beloved SNES on/off switch. Anyway, again, always love seeing posts and screen shots about this version of the game. 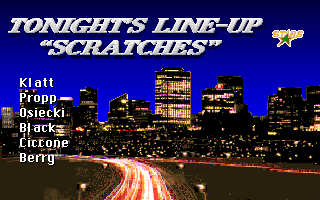 As mentioned prior it had a lot of little details that the SNES and Gens versions lacked: Being able to run 4 lines comes to mind along with the Season mode with active stats. Has anyone played through or simmed a season recently? I am curious how the stats play out (Team and Player). I seem to remember my seasons always had a lot of high goals and low assist players. 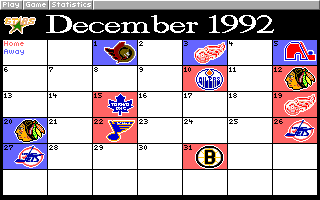 I feel like I played through a season with my Flames and Nieuwendyk ended up with like 95 goals and 15 assists, or something like that. Co-sign also on the Jersey templates in this version of the game. I always felt each team was represented 10x better than the SNES and Gens version (SNES jersey colors are much better than Gens version, FWIW). Also more little details like the Center Ice Logos being unique for each team (Kings and Penguins I know had their Logo closer to the Blue line than Center Ice--really cool touch that is overlooked). Did you know if you check the ref you would get a game misconduct penalty? 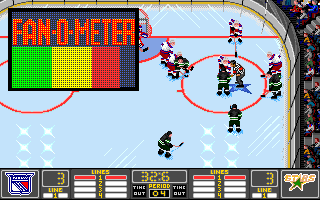 I remember trying to rack up PIMS and tried doing that and it doesn't even reflect in your stats--just tosses you out for the game. Last thing... Would love to see a list of the rosters in this game versus the SNES and Gens version as I know they were different. I remember CGY had Andrei Trefilov as their third-string goalie (personal favorite player of mine as a 7 year old). I feel like I have discovered a treasure! I had never played this, and it is by far and away the best version. I tried playing Genesis version last night and it felt like Pac-Man after playing this. +1 on the Center Ice logos and just so many details. 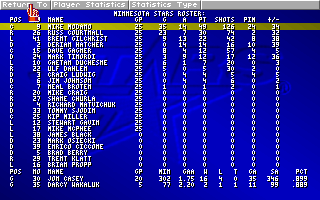 I am almost halfway through a season with Minnesota. I've told this story before.. but there was a computer shop growing up that used to rent PC games, you signed an agreement to uninstall/delete when you returned the game. It was a real chore to install these games back then - 8-10 floppy disks needed to be swapped in order to install. little details like the Center Ice Logos being unique for each team (Kings and Penguins I know had their Logo closer to the Blue line than Center Ice--really cool touch that is overlooked). 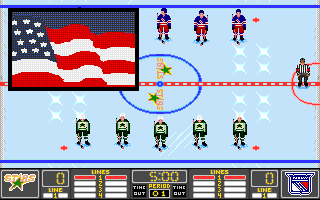 The center ice logos were based off of the real logos and location of the center ice logo. I got a few GMs and a few 5 and GMs for Checking from behind Sometimes, intentional and sometimes accidental. 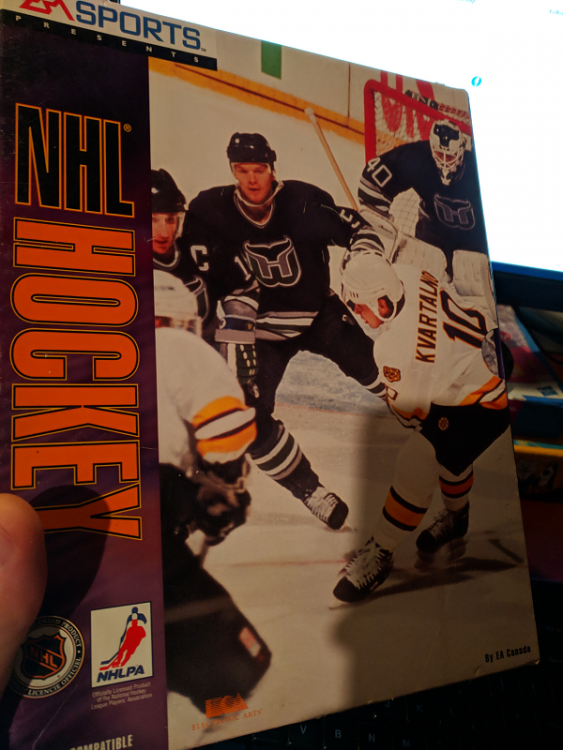 NHL Hockey PC only had 4 discs. I first saw this game at a local computer shop. The employee was playing it. I thought it was so awesome. When I did get it. It didn't work. I had to get a friend to fix some settings to get it to work. 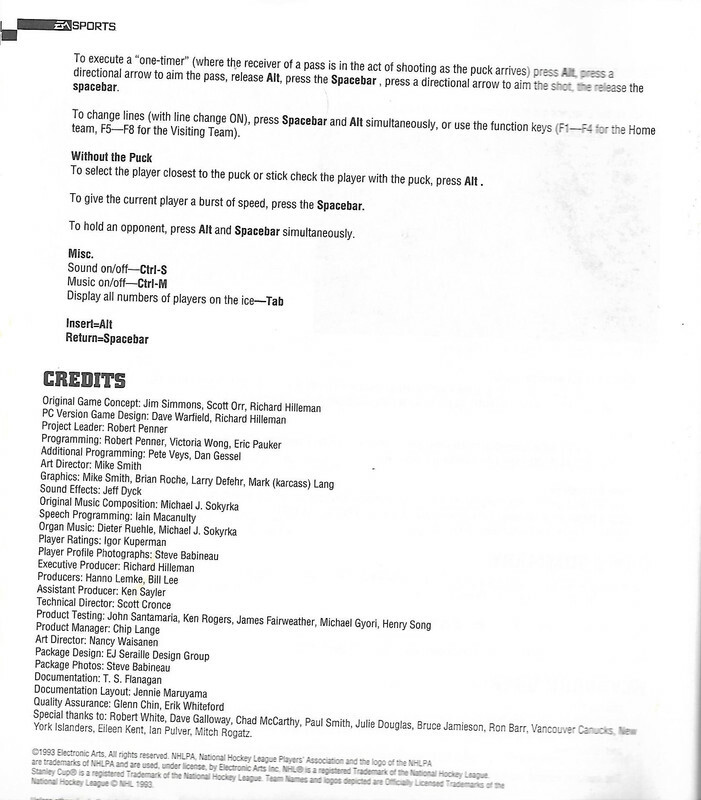 The manual also includes the Player and Goalie info and stats from the Official NHL Guide and Record Book for 1993. I still have it. Play 40 Games of this and you will never want to play GENS or SNES again! Where and how do you play this game? It will install everything and create a Desktop shortcut. So I just tried this, spent about 1 hour and can't get it to work properly with my gens controller. I am also happy to play keyboard, but the only thing I can find is "Enter" to shoot, along with the arrow keys. If anyone has done this to work with a Genesis controller (or even mapping keyboard keys), I would be greatly appreciative. @Kiba? Assuming you are using a Gens controller. What about A / Hold/Flip? Also, for me it looks like "Insert" is pass, not Alt-R. 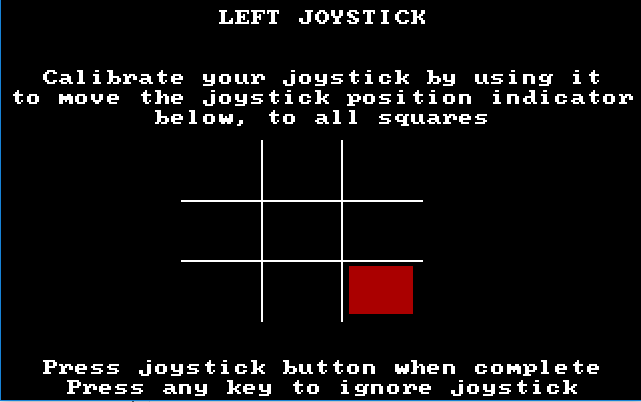 I guess I will mess with this, the JoyToKey program seems to work nicely, thanks Coach! F9 - Pull Goalie / Return Goalie! That's what I got with my findings, yet to find "A"
Okay, so I'm an idiot. I actually own an original copy of this game! So I read through the instruction manual and there is no "A" button, just shoot & pass. 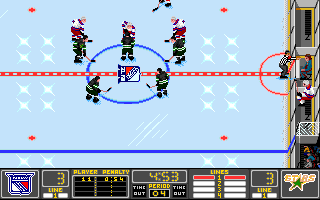 You can also do the pull goalie thing (F9 team 1, F10 team 2), and "R" isn't pause, it's replay. You can do a hook/hold on defense by pushing B and C together on your gens controller. Also escape is the pause menu. That is only if you are the home team. Also Pressing the pass and shoot buttons changes lines too. Aside from the fact that there is no WT BUG in this version, checking is also much nicer as Board Checks are also not 100% successful. Sharks play in the Cow Palace! I Love it everytime I hear that! 3 Stars Formula seems better! And again the Defensive AI, will really shut you down and not let you get to the net for the deke! It’s a nice game and I wanted to try it again after this post was created. Do you get black borders on your image when playing ? 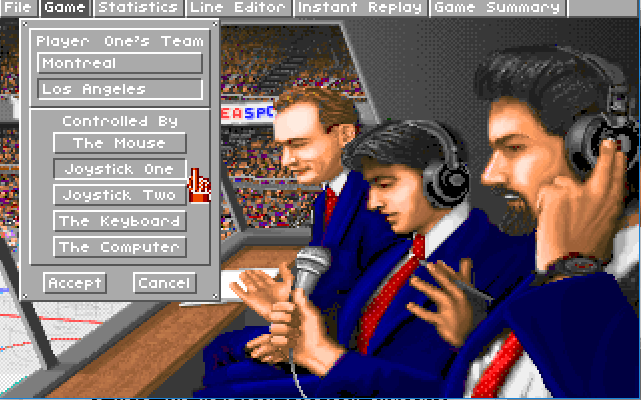 I read elsewhere that you can modify dosbox.conf to fix the full screen mode but I did not try it yet. 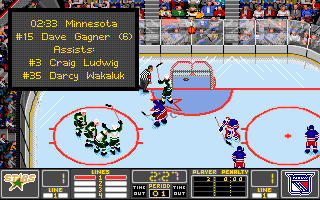 Did you got this when you have a controller connected and you started NHL Hockey in Dosbox? I just calibrated my controller (Genesis USB controller) and it worked. Aaaaaaaand of course you remembered to select joystick as your controller? I think NHL Hockey uses keyborad as default. 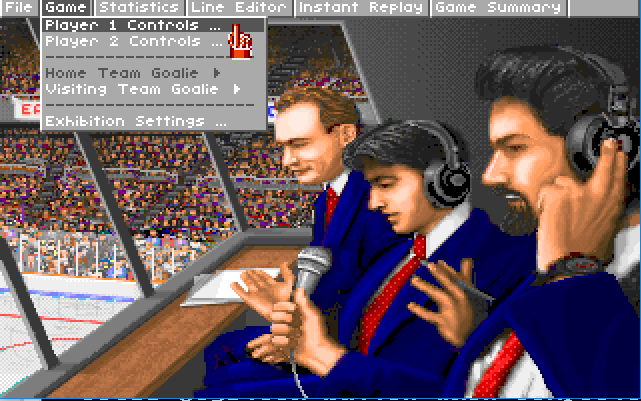 If that did not work, here is instructions how to do NHLHockey keyboard to joystick mapping in Dosbox. 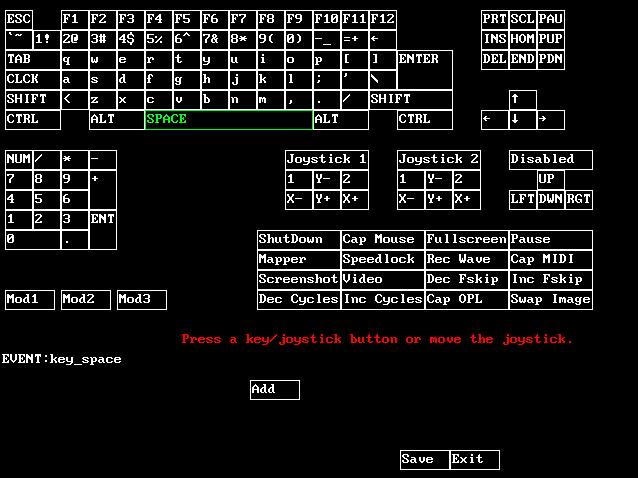 Now we want to add certain joystick buttons and stick/pad positions to bind them to certain keyboard keys. In NHL Hockey space is shot and alt is pass. 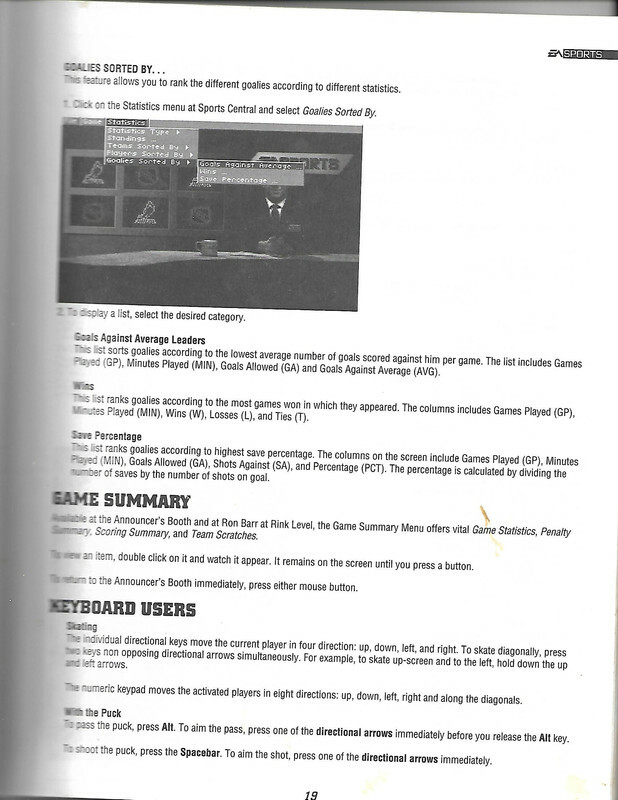 arrow keys move your player to certain direction. Now I click Add and mapper asks what key or joystick button I want to bind to space key. I press joystick "C" button, because I what shot in that button. Then mapper will inform me that there is a binding space key -> GENESIS Controller USB Button 2. 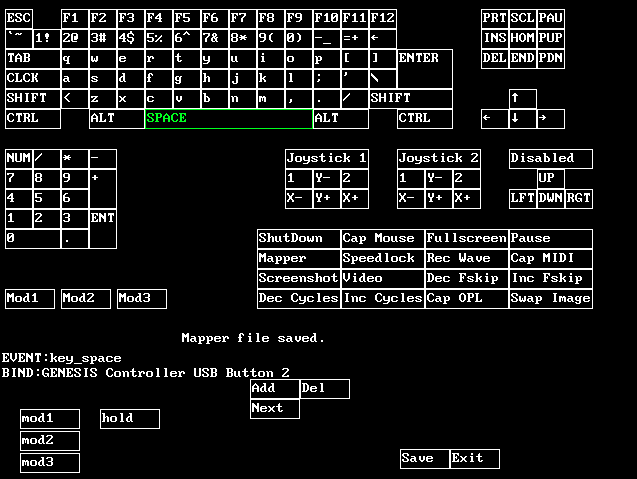 Repeat bindings to alt and arrow keys. Then just click save and my mapper file is saved. Then just exit and go back to game. Remember you have to now set keyboard as your controller in game. Then you can use your controller instead of keyboard. Remember I did not replaced keys in mapper, I just added them, so you can use your keyboard also at same time when you are controlling your player in game. Here are NHL Hockey rosters in spreadsheet. Strange thing, Andre Faust had endurance as 390, I changed it to 75 (no idea what right value should be).